In recent weeks I’ve had a bit of a go at some of the major retailers about their Christmas advertising so today I want to redress the balance a bit with some positive lessons from my alma mater, Marks and Spencer. In my day M&S didn’t even have a marketing department but today they have a very effective one and I think they are leading the way with customer engagement online. I want to talk about two initiatives in particular, one on their website and one on Facebook, I think both sow seeds that small businesses can learn from. 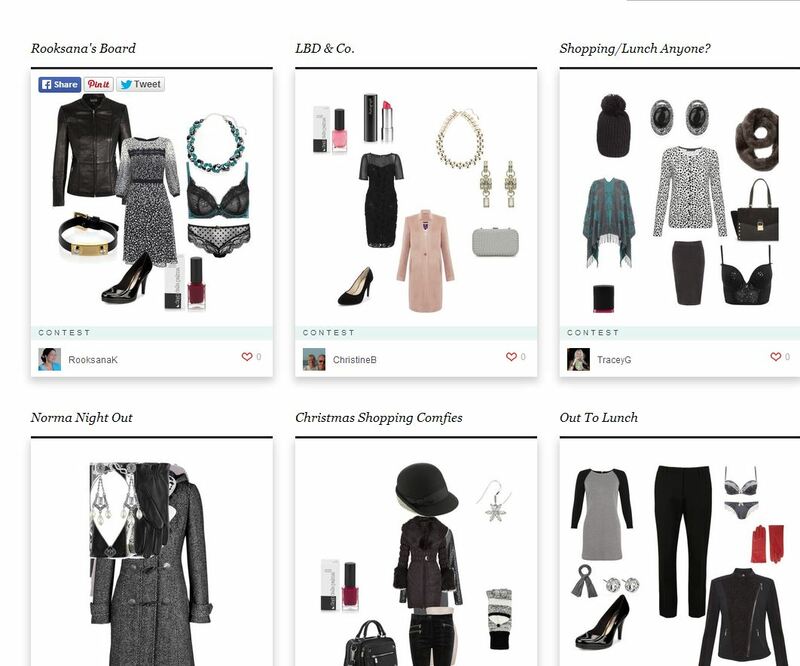 One of the features of marksandspencer.com is the ‘Style Edit’ section where the company puts together style boards featuring products from across the women’s wear range. Last week they ran a competition inviting visitors to the website to put their own boards together with the one that got the most likes winning £500. A great way to persuade visitors to stay on the website and browse the range. This is a great idea because it encouraged visitors to spend much longer on the website browsing a wide range of products to put their own boards together. Once visitors had compiled their boards they would send a link to their friends asking for a vote so they could win the competition, this would give M&S more site visitors and potentially get those people involved in the competition too. My only criticism is that I only found the competition on the penultimate day for entries, did I miss some of their promotions or did they miss that bit of the marketing? I couldn’t find any emails that I hadn’t read, any Facebook messages or even an ‘above the fold’ mention on the website which is a shame because it was a brilliant idea but participation seemed to be quite low. 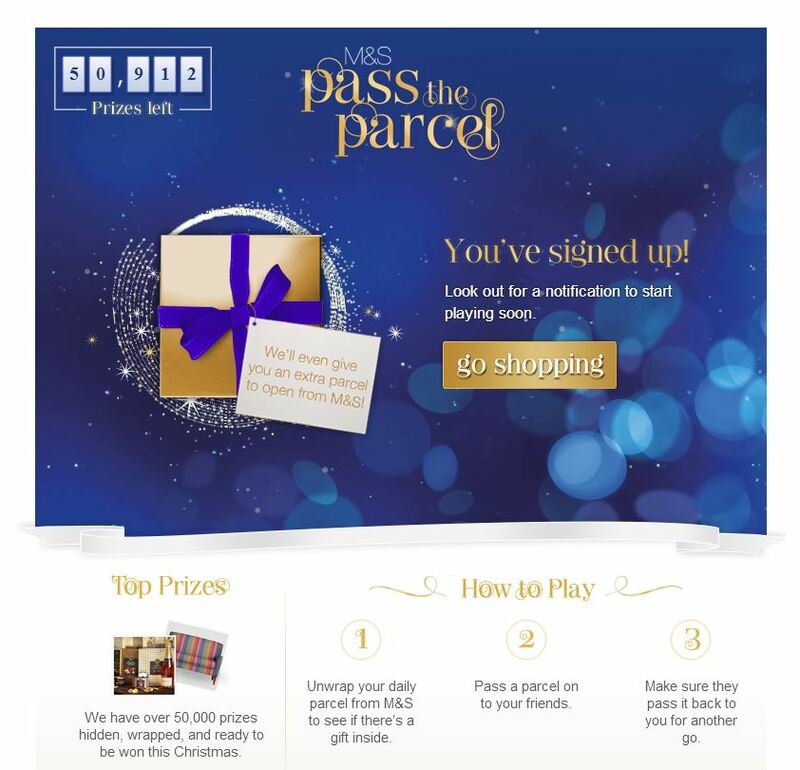 M&S is now promoting a ‘Pass the Parcel’ game which is about to launch on Facebook. The idea is we sign up to join and when the game starts we’ll receive a daily parcel some of which will have a prize, we pass the parcel on to our friends who then pass it back to us to give us another turn. There are over 50,000 prizes making us feel we have a chance to win something. This is clever because M&S fans will get engaged but will also bring in their friends who may not be M&S fans but who might like the chance to win a prize and therefore join in. To be included we have to pre-register so M&S gets more names to market to and the registration page has a prominent button inviting us to visit the website. run a quiz where the answers are contained on your website, you could do this with a free tool like Survey Monkey. run a Facebook competition where people have to upload photos of them using your product; photos of the results of them following advice you’ve given them; or photos of your product in an unusual situation etc. Do you have any other ideas? Are there things you have done to gain visitors, likes or more engagement? Do you need some help to devise a campaign for your business? If so book your free, no obligation 30 minute consultation here. This entry was posted in Marketing, Small business advice and tagged Business, Christmas, Facebook, Marks, Marks & Spencer, Online Communities, Spencer, YouTube by glendashawley. Bookmark the permalink.